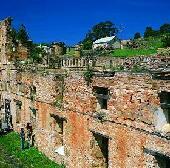 Access for two consecutive days to the Port Arthur Historic Site including over 30 buildings, ruins and gardens, 40 minute introductory walking tour, 30 minute harbour cruise. Infant : 0- 6 years inclusive - free of charge. Child: 7-17 years inclusive - child rates apply. - Visitors with a disability are strongly encouraged to speak to the counter staff.